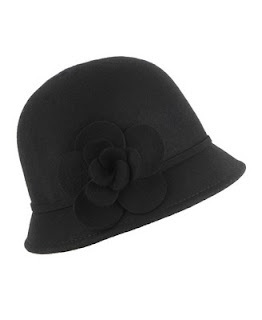 I recently visited two floors of Forever 21 and found this beauty, a black wool cloche hat. It's only $17.80 and still available online. This hat is so cute! It reminded me of a couple of cloches I've clocked Gossip Girl's Blair Waldorf in. 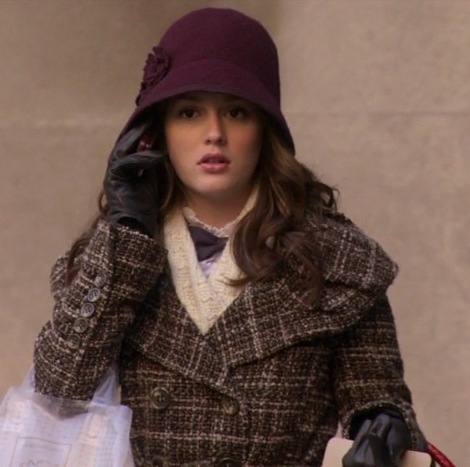 So Blair wouldn't be caught dead in Forever 21, but we can keep the humble origin of this hat between you and me! 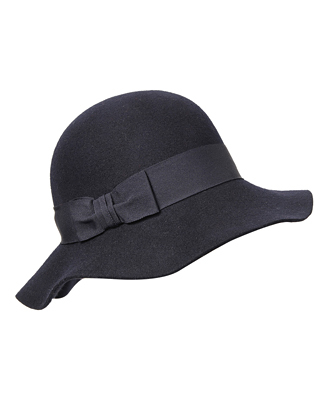 I also wish they'd had this wide brimmed hat ($14.80) in stock when I visited as well, as I'm now totally lusting after this! What do you think? My daughter love love loves cloche hats! They look so good on her too. I wish I looked good in hats. I would wear them all the time!